The Joby TelePod Mobile is an all-in-one, multi-mode support for smartphones, compact cameras, and accessories weighing up to 0.7 lb. It's adjustable between grip handle, selfie stick, desktop tripod, and stand modes and is useful across many applications, including vlogging, where you may benefit from easily switching between different modes. The TelePod Mobile features an integrated ball head and includes a Joby GripTight ONE Mount for smartphones. The phone mount secures on the ball head and fits phones 2.2 to 3.6" wide, supporting virtually any phone. 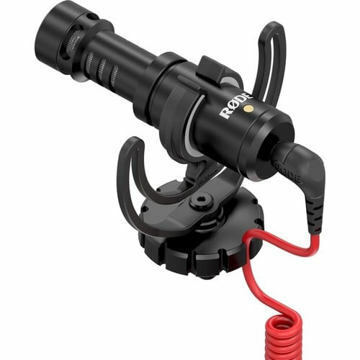 Remove the phone mount, and the tilt-adjustable ball head offers a 1/4"-20 mounting screw that allows you to attach small cameras, 360 cameras, action cams, compact lights, mics, and various other gear. Also included is the Joby Impulse Bluetooth Remote, which lets you control your phone's shutter from up to 90' away. It works with both iOS and Android phones. Fully collapsed in grip handle mode, the TelePod Mobile measures 7.5" long and offers a rubberized grip for comfortable and secure handling. For the other modes, the legs open out and the center pole telescopes out to a max length/height of 24".